Winding Brook Farm celebrated its 100th anniversary on Saturday, September 21, 2002. The following information details some of the history of the property. The Winding Brook Farm is located at 3014 Bristol Road, Warrington. The land which is now known as Winding Brook Farm was once part of the William Penn’s Purchase in 1685. Records from the 1700’s indicated that the parcel was considered part of New Britain Township. 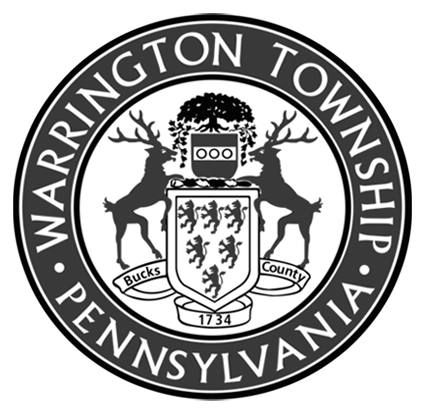 Warrington Township was the last part of Central Bucks County to be organized; in September of 1734 a court ordered that the lands above the adjoining to Warminster Township shall be a township and be called Warrington. The new township was named after a town in Lancashire, England. The area remained much of a “wilderness,” ideal for hunting deer and rabbits. John Barclay, justice of the peace in 1782, delegate to the state’s Constitutional Convention, Justice of the Court of Common Pleas in 1790, and associate judge of the Courts of Bucks County in 1791, sold the present Garges farm, consisting of 117 acres to George Walter, great-great grandfather of Bill Garges. The sale took place in 1805. The original deed is owned by the Garges family and is signed by Barclay himself. In 1903, Bill Garges’s grandfather bought the farm from the Walter family for $7,500. At that time the tract consisted of 134 acres. The Garges family has been in Bucks County since the 1700’s. The name Garges was originally known as Kirkes. John Wilhelm Kirkes emigrated from the “Palatinates” in Germany on the ship “Britanica” on September 21, 1731, coming into the Philadelphia harbor. The family grew and ventured out to the surrounding lands of the city. Farming was the primary occupation for his family. The Walter/Garges homestead has a long lane with a branch of the Neshaminy Creek running through it. There were always six or seven Sycamore trees in the front yard. The homestead has been a gathering place for family members for almost 200 years, hosting annual reunions and birthday parties with relatives staying from sun-up to sundown. In years past they arrived by horse and buggy and by mule and wagon. The pond, which still exists, was a favorite place to fish and swim in the summer. The home progressed from candlelight to gaslight to electricity. It was one of the first homes in the township to have indoor plumbing and a bathroom. In 1911 the barn burned down after being struck by lightning. Many animals and crops were lost. The original barn had been built by J.B. Walter. The farm has been an active one raising crops and animals such as dairy cows, geese, pigs, sheep and chickens. The family was always self-sufficient. “Store-bought” items were few; there was always plenty of fresh milk, eggs, meat and vegetables. The Garges family was always lucky to have good hired help because there was always something to do on the farm. The rough winters required keeping the lane open when it snowed. Summers were filled with endless days of harvesting and caring for animals. Winding Brook has remained in the Garges family for almost 200 years. This was a result of the marriage of Edward Garges and Maria F. Walter. It is still an integral part of the township with active farm functions including dairy cows, crops of corn and wheat as well as diversification to meet the needs of changing economy. In 1999, the farm proudly became part of the Bucks County Agricultural Preservation Program. The current Garges farm, Winding Brook Farm, is operated by Bill and Rosemary Garges. The extended Garges family members work alongside their parents to continue this long family tradition of framing. The farm is bordered by Folly and Bristol Roads and contains 136 acres. The Garges’ have been participants in regional agricultural events and active in the community throughout the years. Today they celebrate their role in the community by opening their farm to Warrington residents. Prepared by Jayne Lester, Warrington Township Historic Commission and Members of the Historic Commission: Mary Doyle Roth, Ken Samen, Doris Dillingham, Scott Yates, Jane Henderson, Stuart Cohen, Joseph Wright, Glenn P. McKay, Liaison Supervisor.